My son is obsessed with Lego. Lego everything…Harry Potter. Star Wars, Lord of the Rings, The Hobbit, Marvel Superheroes, dinosaurs…the list is endless. This means he has boxes and boxes of it…this also means he doesn’t notice if I ‘borrow’ some of it (but never ever take Bilbo or Gandalf). I have used some of this ‘borrowed’ Lego with great success in school. 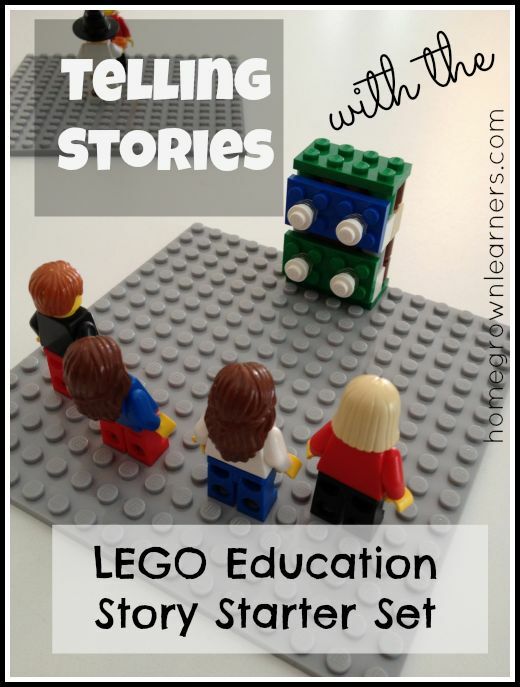 You can buy Lego Education Story Starter kits and they have some fantastic ideas in the handbook that comes with the sets. Depending on your budget second-hand Lego from Ebay might be a better option. I have used it in a variety of different ways, each time engaging and motivating children throughout the primary age range. The most obvious way to use it is to create story settings which can be used to role play with, developing language and understanding of story structure. These scenes can be used as a stimulus for story writing or story telling, writing wanted posters for baddies, drawing treasure maps, creating scrolls with declarations of war, marriages, challenges or quests. My son enjoys making machines and transportation devices with his Lego. He hates writing more than almost anything else ever. However, he made an inventor’s book of Lego creations where he documents his models through drawings which he labels and sometimes expands upon with explanations of how they work. He doesn’t see this as writing – nor will the children in your class! 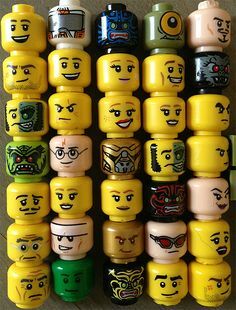 I enjoy using the Lego faces with my children in Year 5 to expand their use of emotions words. I give them a selection of heads which they write an emotion sentence about. I then challenge them to use a thesaurus to improve their choice of word and to further develop their sentence. Sometimes they will continue to write a paragraph about their character. The heads can be bought as a job lot on Ebay – just check you get a variety of expressions! 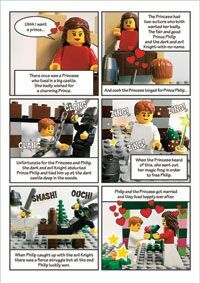 A similar activity can be done with the pictures of scenes off the front of Lego kit boxes – this time creating an atmosphere for a specific genre type. Another grammar objective that can be taught through Lego is prepositions – The Literacy Shed blog talks more about this. Children can say sentences containing prepositions about the Lego character e.g. 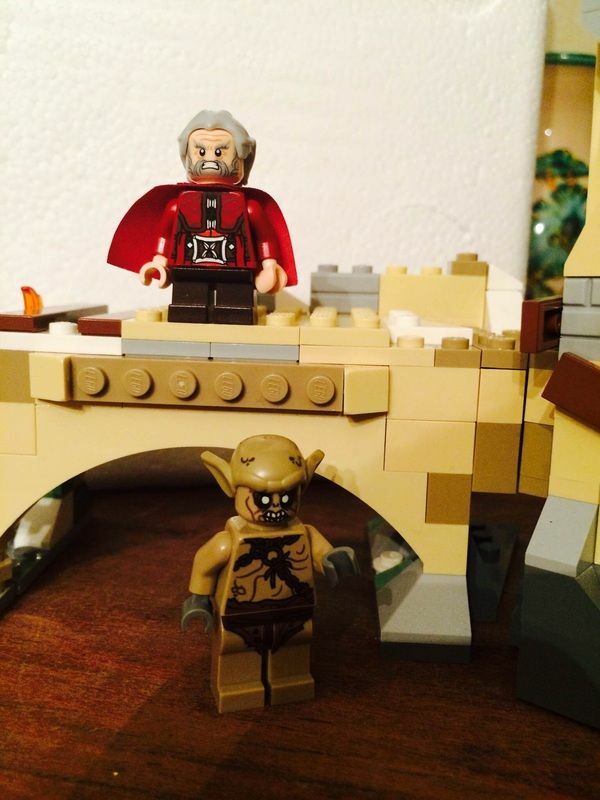 ‘The man stood on the bridge’ ‘The orc is under the bridge’. These can be written and expanded into short action scenes or a comic creating app can be used to record and create a storyboard. I stumbled across this website with some amazing photographs that can be used as a writing or discussion stimulus. Younger children can develop their fine motor skills by taking part in a race to build a mini figure. The different fiddly, little parts can be hidden in sand, water, lentils or something gooey. 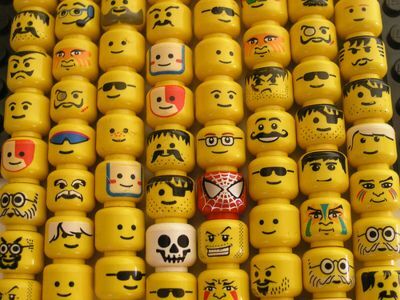 A variety of parts means an endless variety of Lego characters can be created. Previous Brilliant books for children.